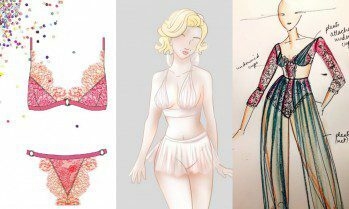 Home BrandsNews	Revealing the 2015 Lingerie Design Competition Winners! If you’ve been following my brand for any length of time, you’ll know I run an annual lingerie design competition. Launching a lingerie brand is expensive and incredibly time-consuming, even for a little independent label, so I launched this contest in 2011 as a way to give one person the chance to see their design put into production at no financial cost to them – from the first year, the winning design has always been produced and sold as a limited-edition set at Esty Lingerie. (You can see previous year’s winning creations here). 2015 marked the 5th year I’ve run this competition and it was lovely to see so many of you enter again – each year I receive more entries than the last, and I never fail to be amazed at the gorgeous designs and stunning illustration/presentation skills on show! The 2015 theme was ‘Modern Classics’ and you can read the full design brief here. The winning design is always selected by me, but as has been the custom for the past few years there was also a public voting stage to select 2nd and 3rd place winners to scoop up some smaller prizes. Now, enough of the competition details – it’s time for the exciting bit, time to reveal 2015’s winners! Betsan’s design was inspired by the bright colours of the 1970s disco scene, but used on a soft lace bralet and high-cut brief that look perfectly on-trend for 2016 too. 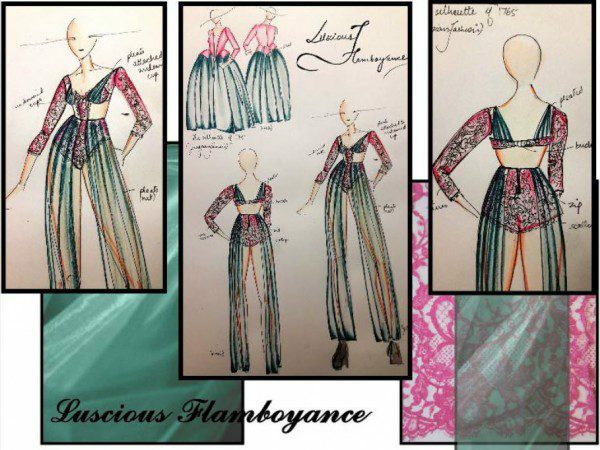 Priyanka’s design, “Luscious Flamboyance”, took the showy fashions of the Georgian era and turned them into a very unique lingerie set including a pair of lacy knickers with sheer attached trousers. All the flamboyance of the inspiration, but a new and different silhouette for today’s customer. Prize: £100 gift voucher + a set for herself + an interview on the blog + this design produced & sold! And here it is, 2015’s winner! 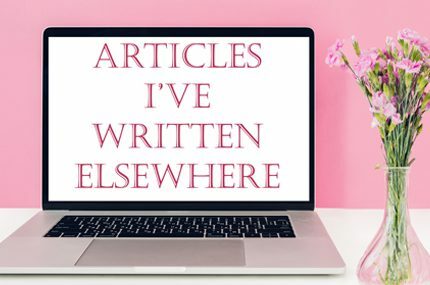 It was, as always, incredibly difficult to narrow the entries down to just one winner, but Ishleen’s set really ticked all the boxes of the different judging criteria. Most importantly though, the theme is clear – it’s a fun, modern take on a garment that we all know from a previous era. If you’re a fan of Ishleen’s design, you’ll be able to get your hands on it in the not-too-distant future! The 2015 competition ran quite late in the year compared to usual, due to a lot of changes happening at Esty Lingerie through the first half of the year, hence why the winner is not being announced until now in 2016. However things will be back to normal for this year’s competition, so for those who’d love a chance to enter, keep an eye out for the new theme being announced in spring. You’ll get to find out more about these 3 designs in the winners’ interviews, but in the meantime I’d love to know what you think of them? Did you vote for Ishleen’s ‘The Monroe’ to win?